UK-based Ghanaian duo Reggie N Bollie say there was no way their music career would have flourished to an international level if they had stayed in Ghana. They have attributed their success – in terms of music, fan base and finances – to emerging second in the X Factor UK reality show. Reggie N Bollie were reacting to comments by some entertainment critics that they were big artistes in Ghana and, therefore, getting onto a platform like X Factor UK was not right. “The people who have that school of thought, I think what they would have to understand is that, yes we were popular in Ghana but we were looking at a worldwide audience, we just didn’t want to keep our talents in Ghana. What we have achieved within the past six months after being on X factor, we couldn’t have achieved that with our entire music career in Ghana,” Bollie said. Reggie N Bollie made it to the final of the X Factor UK 2015, but lost out to singer Louisa Johnson, who won the £1 million prize money. A month after the X Factor UK, entertainment mogul and judge of the reality show, Simon Cowell has signed the pair to his record label ‘Syco Music Entertainment Global’. The label said in a tweet that, Reggie N Bollie “will release their album later in 2016”. In an interview with KMJ on Daybreak Hitz (Showbiz Review) on Hitz FM, Reggie N Bollie revealed that the deal is to record an album with the label but declined to reveal how much it was worth. 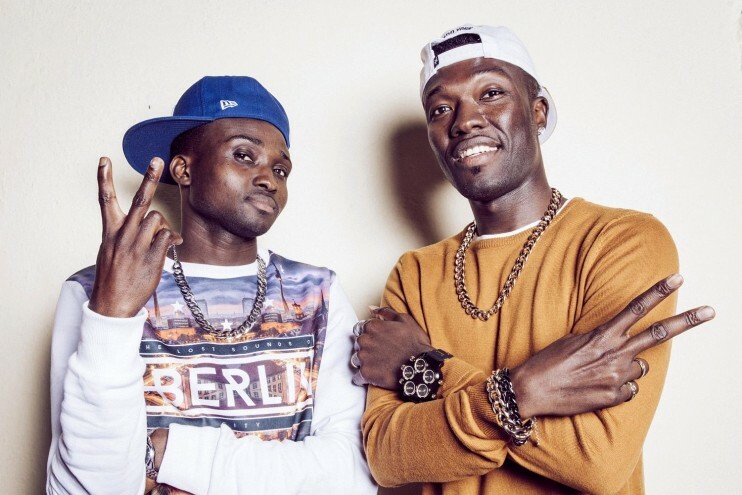 Reggie N Bollie rubbished reports that they were not given an opportunity to portray the African roots on the X Factor UK stage but rather were made to do more pop songs which is a UK-based genre. “That is not true at all, even on our first audition we said that we were from West Africa Ghana and all along everyone in X factor from crew to the managers knew we were from Ghana, the fact that we live the UK does not mean we are not from Ghana,” Bollie said. Reggie N Bollie promised to visit Ghana on their world tour soon.